Lemon rice is an aromatic south Indian dish prepared with a distinct lemony flavor. It is easy to whip up when you are short on time. 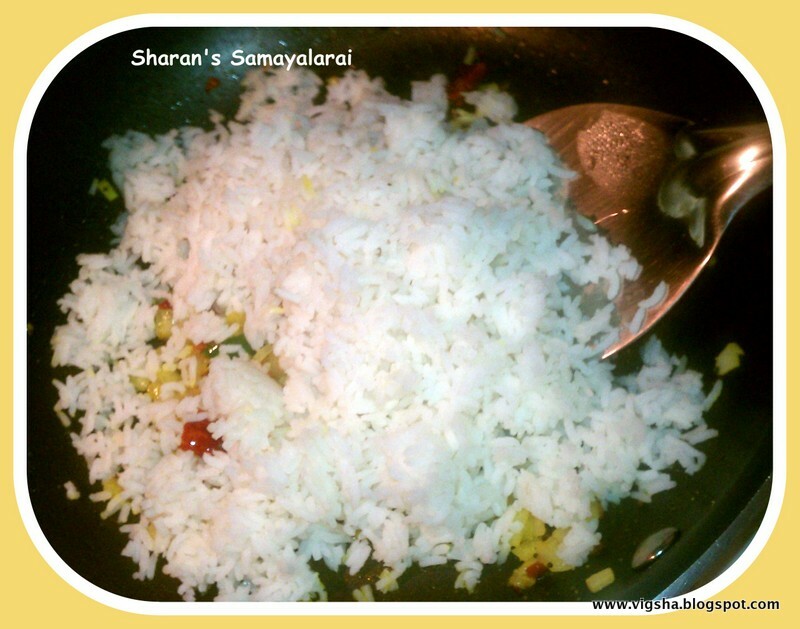 Lemon juice gives a very refreshing and tangy flavor to the rice. I am sure there are many who would remember being packed this for lunch box along with spicy roasted potatoes. Its as elegant as you want it to be and kept as simple as the need arises. Don’t be alarmed at the ingredient list as all ingredients are commonly available in the kitchen. 1). Soak 1 ½ cups of rice in water for half an hour and cook. Make sure your rice is not mushy and the grains are separate. If cooking fresh, cook with 2 cups of water instead of 3 for 1 cup rice. Fluff the cooked rice with fork, and spread the rice on a plate to cool. 2). Stir-fry the peanuts for about 2 minutes until peanuts changes the color to light brown. or Microwave it for 2minutes. 3). 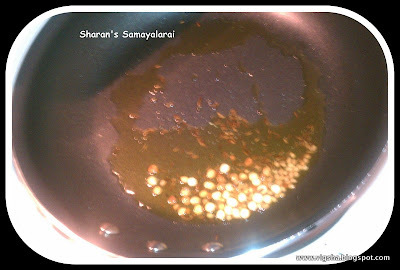 Heat oil in a pan, add mustard seeds. 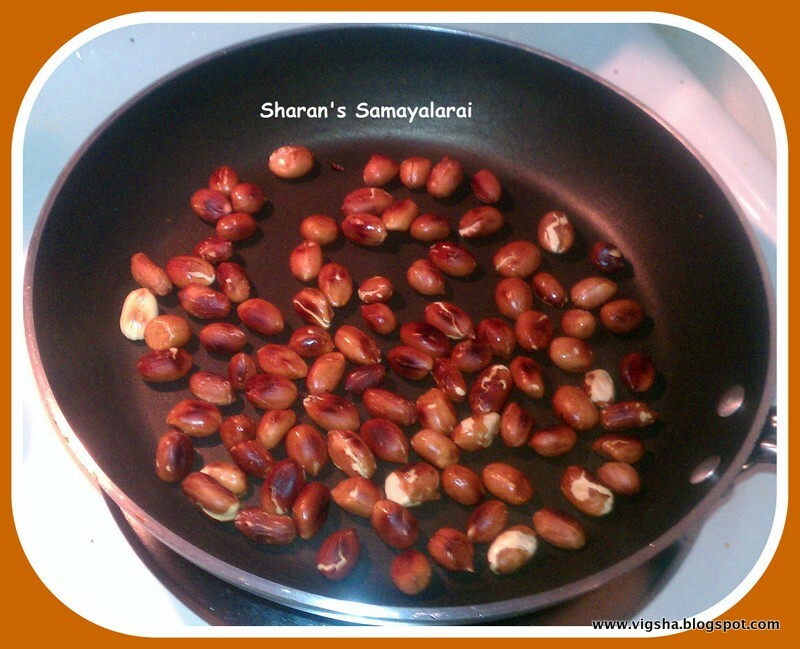 When it crackles, add the urad dal and chana dal,fry till turns golden brown. 4). 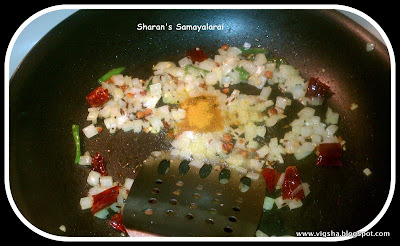 Then add the chopped Onions, red chilies, curry leaves, green chilies and fry till Onions turns translucent. 6). Add the turmeric powder. Stir-fry for another thirty seconds. 7). Now add the cooked rice. Toss the rice in the pan so that the spices mix evenly in the rice. Ensure that the rice is evenly yellow. 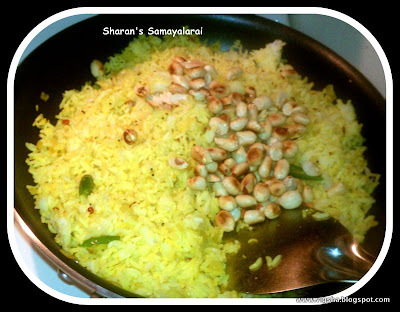 Sprinkle salt, peanuts, cashews and lemon juice over the rice and toss again. 8). Mix gently, making sure do not break the rice and stir-fry for about 2 minutes. Serve with a Raita (yogurt salad) and Pickle for a simple yet tasty meal. 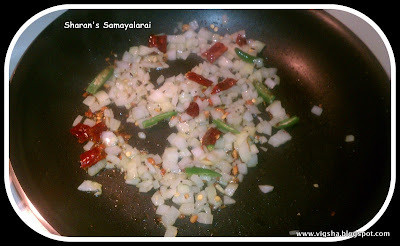 Simple Potato stir-fry goes well with this. # You can prepare this dish with fresh cooked / leftover rice. # Roasted peanuts and cashews are optional. But they add more richness to the rice.